Get to snacking with Mixed Fruit Snacks from Welch’s®. Perfect to toss into lunch boxes, purses, book bags and more, these fruity treats are great for snacking on the go. They’re made with real fruit and contain an excellent source of Vitamin C, so you can feel good about what you’re eating. With Easter-shaped fruit snacks – bunnies, flowers, eggs and chicks – they are perfect for egg stuffers and egg hunts. The Welch’s Easter Fruit Snacks come in an Easter themed box and pouch! 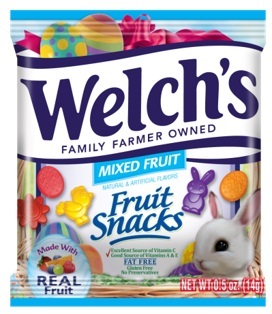 This Easter our boys will be happy to see their baskets full of delicious fruit snacks from Welch’s. These snacks are timeless as far as I am concerned as we always had them around our home when I was growing up and now I can share with my boys. Holidays always flood me with memories and Easter has always been one of my favorites. I recall so many fond childhood memories of Easter celebrations, church services and family meals together. We are keeping a lot of these traditions alive with our own children. 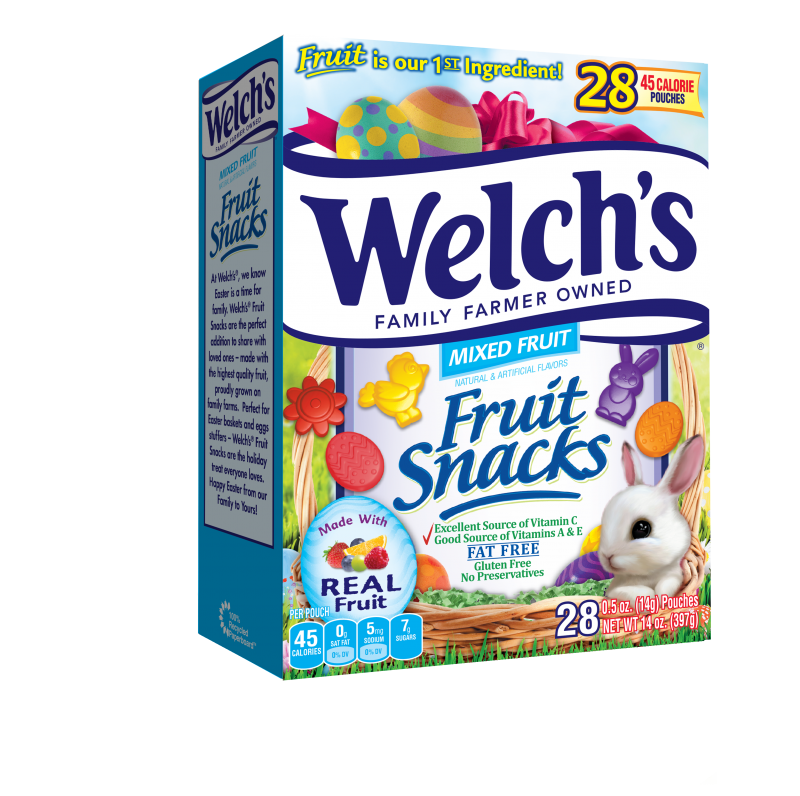 Made with real fruit; these snacks are super tasty and I love that we can score a 28 count box this Easter season to share with our family and friends for Easter egg hunts as well as basket stuffers. Another perk is that you can get them in quite a few places, but one of my favorites is Target and Wal-Mart. You can also purchase them online at retailers such as Oriental Trading. They are reasonably priced at just $4.99 for the box! While sugar coated, chocolate filled candy is often the choice for many Easter baskets this year our family will be sharing the love of Welch’s Fruit Snacks. What are some of your go-to Easter basket fillers? Be on the look out here on the blog for other Easter ideas in the next couple of weeks. April 1st will be here before we know it and our 2018 Easter Gift Guide will be filling up! « What Does Your Sleeping Position Say About You?